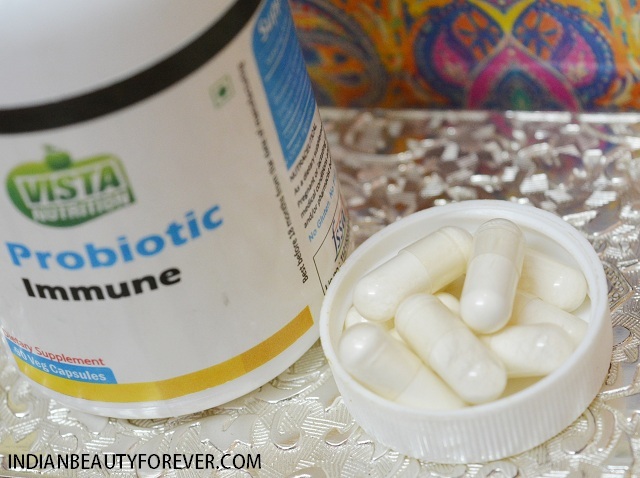 Hi all, I will share this review on these Vista Nutrition Probiotic Immune capsules today. Probiotics are the good bacteria that maintain a good digestive system. You may have heard about the probiotic drinks as well. Actually they are bacterial cultures which favorably alter the intestinal microflora that supports a healthy intestinal balance. When the digestive system is healthy the immunity also enhances. They also provide immune support by protecting against harmful bacteria that may contribute to poor health. Other Ingredients: Vegetable gelatin (magnesium stearate) Dicalcium Phosphate (anti caking agent ( 341 i )), class II preservative 218. 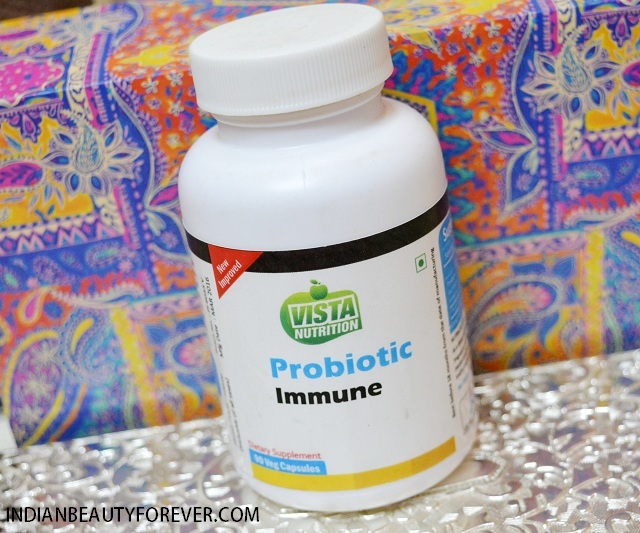 About the product: Vista Nutrition’s PROBIOTIC Immune Formula is a high-potency formula featuring a blend of probiotics to support immune health. The body is normally home to trillions of bacteria existing in the gastrointestinal tract, mouth, skin and other areas-that play an important part in good health. Beneficial bacteria help break down food, synthesize vitamins and support the digestive process. They also provide immune support by protecting against "harmful" bacteria that may contribute to poor health. While the low pH of the stomach is usually enough to combat any potentially harmful organisms that enter the body, good bacteria provide "back-up support" by secreting antimicrobial substances that are toxic to pathogenic bacteria. They also help prevent their overgrowth by crowding them out. A number of factors, including poor diet, medication, illness, stress and aging, can deplete levels of beneficial bacteria in the body. That's why it's important to incorporate a good, high-quality probiotics supplement in your everyday diet. Vista Nutrition’s PROBIOTIC Immune Formula features a unique probiotic complex containing Lactobacillus rhamnosus , Bifobacterium bifidum, Lactobacillus acidophillis Bifidobacterium longum. 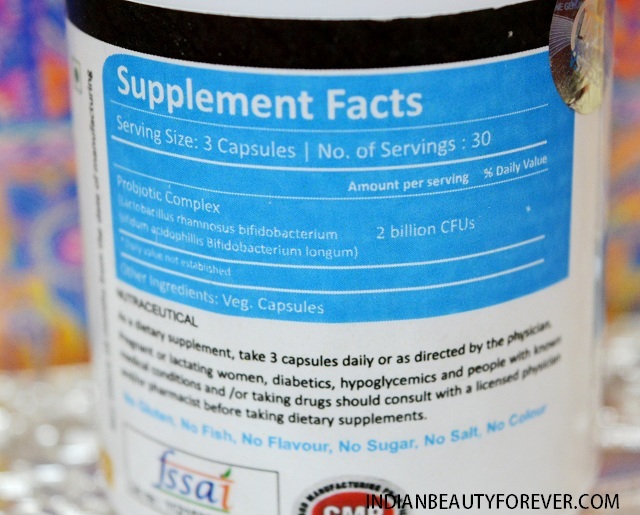 Views: These dietary supplements should be taken like 3 capsules daily or as directed by a physician. My husband was suffering from the digestion problem lately. I think the sedentary lifestyle and the fact that he has discontinued going to gym regularly is also the reason. While sitting for long hours in office and change of the lifestyle has made his digestion to go weak. Therefore, I thought these will be ideal for him and these probiotic capsules have really shown some positive results in enhancing the digestion process. He takes 2 capsules a day and that is after the meals. The capsules are white in color and are of regular size hence taking them is not a problem. They also do not leave a bad taste in the mouth hence are suitable for everyone. Now that he is taking these regularly and daily, he has seen some good changes in his digestive system and he do not feel as sluggish like earlier. I would really recommend these capsules to increase the digestive health and digestive system. Vista Nutrition’s Probiotic Immune Formula is better because it delivers 2 billion colony forming units (CFUs) per serving. Do you take probiotics in the form of drinks or capsules? if yes, how it has helped you, do share with us? 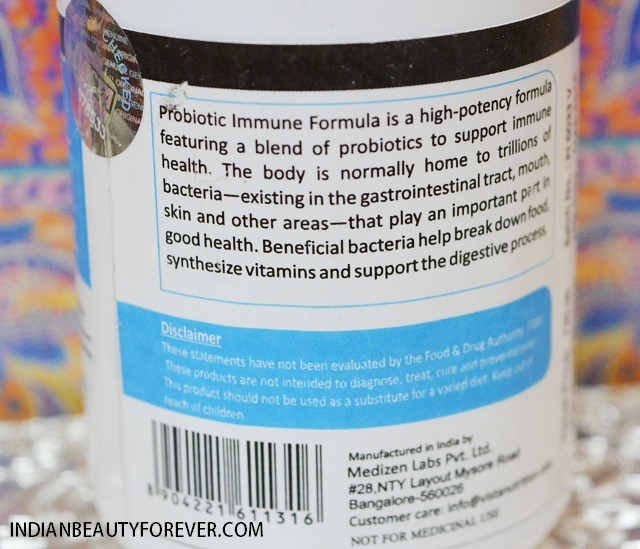 What are probiotic immune capsules? how it is helpful and what are contents of it?